It’s the 7th day of October and today’s post is all about Halloween! A Halloween banner to be exact. I took the Halloween Banner Kit and the Build a Banner Simply Created Kit and added some flair of my own to make this spooky, grungy Boo Banner. I had lots of pieces of both kits left to make other goodies with, I love that the banner kits are so generous! The Build a Banner Simply Created Kit comes with 18 blank canvas paper pennants, 6 of each design as well as all the stencils! And the stencils, oh my love them! 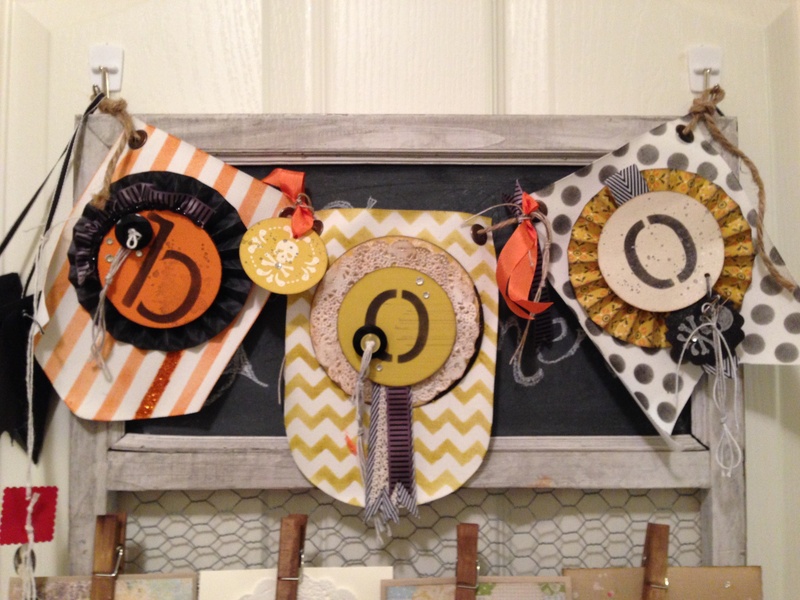 There is a stripe, a chevron and a polka dot stencil as well as masks for the center circle for the letters. There is also a complete alphabet! I used the alpha for the “BOO” on my banner although I put all of my letters on circles. With the stencils I used the sponge method and just sponged ink into the patterns. I love the look that gave. I also used stencil adhesive to ensure that my stencil didn’t move as I sponged the ink on. I grunged up every image with something from Gorgeous Grunge….oh.my.I.heart.that.set! The sky is the limit with this banner kit, you can make yours exactly like the picture or change it up and make it your own. I love and hope you do too! 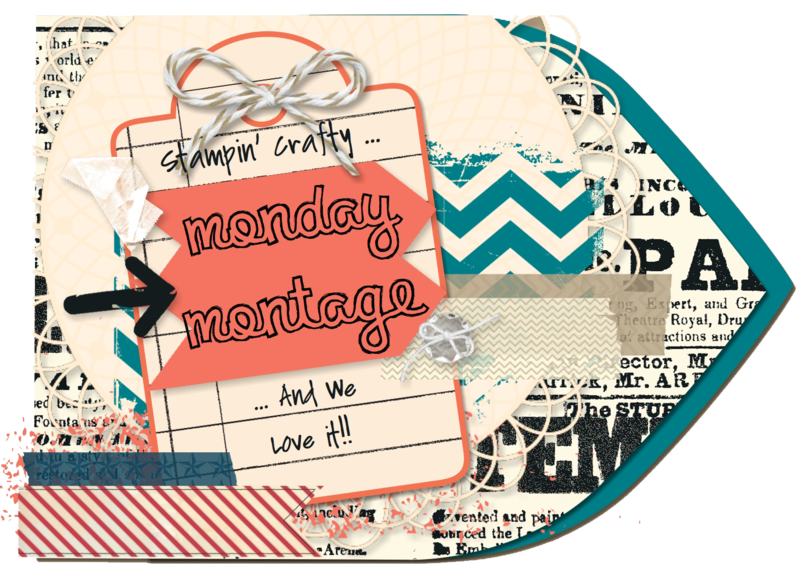 I’m so glad you are back for week 4 of our Monday Montage! I continue to be awed by the skill and creativity of my fellow friends on this hop! Be sure to come back every other Monday for another big dose of creative inspiration! This entry was posted in 2013 Artisan Design Team Finalist, 3-D, Stampin' Up, Techniques by kate80132. Bookmark the permalink. I love the flair you added to your banner!! It looks amazing! You are the queen of distressing and tying interesting knots! You always have the most interesting little touches on your projects. I just want to enlarge the pictures and spend lots of time studying all of the little details! Love this banner! What a fun little banner! I love all of the embellsments and the whole vintage look…spooktabulous!! !